Oklahoma Connection | Harlow, Jr. was born and raised in Oklahoma City, Oklahoma. 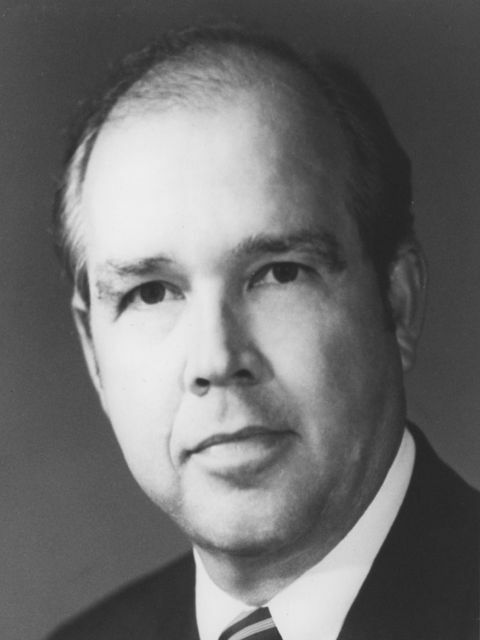 James Harlow, Jr. was one of the youngest men to ever become president of an electric utility company when he became president of OG&E in 1978. He was only 38 years old. Oklahoma native James G. Harlow, Jr. was a graduate of Norman High School and upon graduating from the University of Oklahoma, he joined Oklahoma Gas & Electric (OG&E) in 1961 as research analyst in the budget department. He worked his way up from assistant treasurer in 1966, treasurer in 1968, secretary/treasurer in 1969, vice president and treasurer in 1970, executive vice president and treasurer in 1972 and, in 1973, was named president of the company. At the time of his retirement in 1996 he was serving as president, chief executive officer and chairman of the board of OG&E. Mr. Harlow was one of nine electric utility executives in the United States invited to the 1984 EEI/UNIPEDE meeting in Mons, Belgium, along with energy leaders from seven European countries. He was also a member of the committee of the U.S. World Energy Conference. He served as director of several national organizations, including the U.S. Chamber of Commerce and the U.S. Industrial Council. He was also chairman of the Board of Trustees of the University of Oklahoma Foundation and chairman of the Kirkpatrick Center Education Committee. A $1 million James G. Harlow, Jr. Chair in Business Ethics and Community was established at OU in 1997. He was honored, posthumously, with the Excellence in Education Award from the Oklahoma City Public Schools Foundation in 1997. See pictures of James G. Harlow, Jr. and other media HERE.